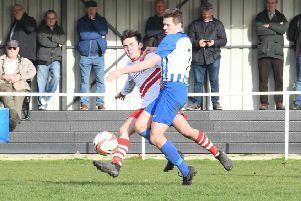 Skegness Town picked up a welcome victory as they hosted Harworth Colliery. Courtney Warren put the Lilywhites ahead in the 36th minute, only for Sam Foulds to level with less than 20 to go. However, Daniel Stevens had the final say, grabbing the winner with six minutes remaining. Harworth were reduced to 10 men late on following a red card. The result leaves Town 17th in the NCEL Division One.